The non-stop party in Vegas is fun, but let’s face it, sometimes you just need a break. If Vegas is wearing you down, don’t give up and retreat into your hotel room. Take a day trip! Lake Mead is one of the largest manmade lakes in the Western Hemisphere and the best place in the area for water activities. 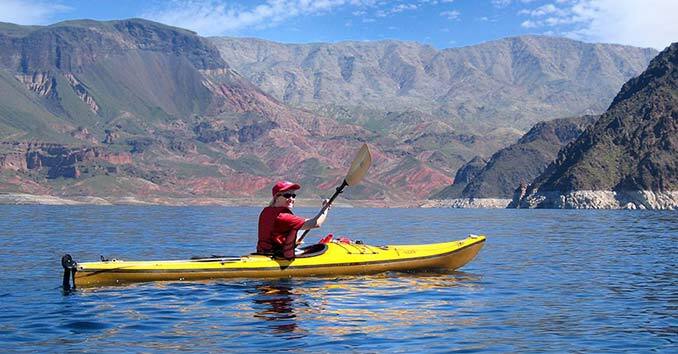 Try your hand at fishing, boating, water skiing, kayaking, or canoeing while enjoying the beautiful mountains, plants, and desert scenery surrounding the lake. 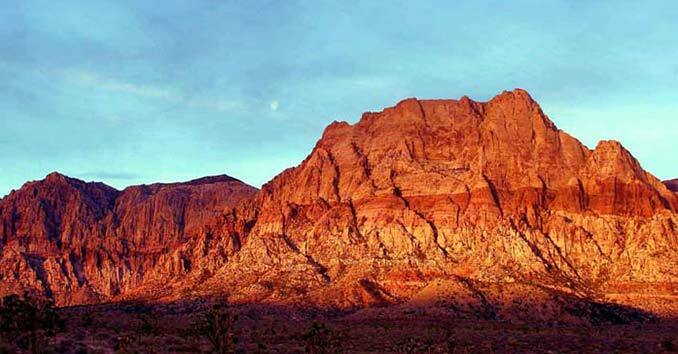 Its gorgeous red sandstone mountains and location just twenty minutes from the Strip make Red Rock Canyon a great choice for a full-day or part-day adventure. 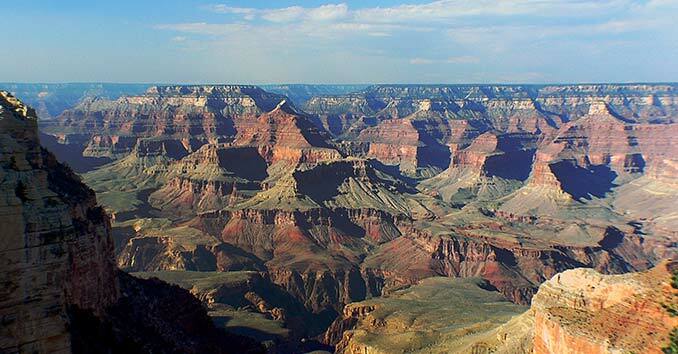 Take a scenic drive through peaks and canyons, hike on one of 26 different trails, go horseback riding, stop for a photoshoot, or just admire the desert landscape. 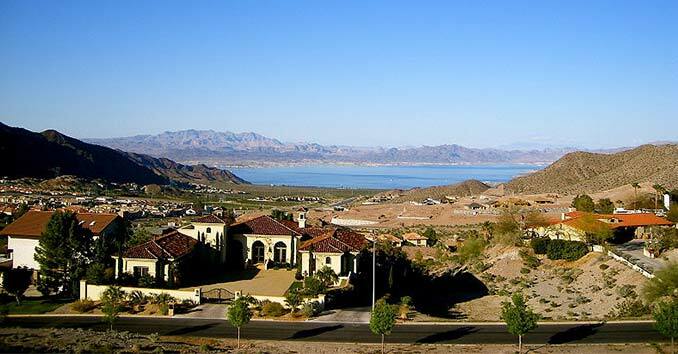 If you don’t feel like traveling far, Lake Las Vegas may be for you. 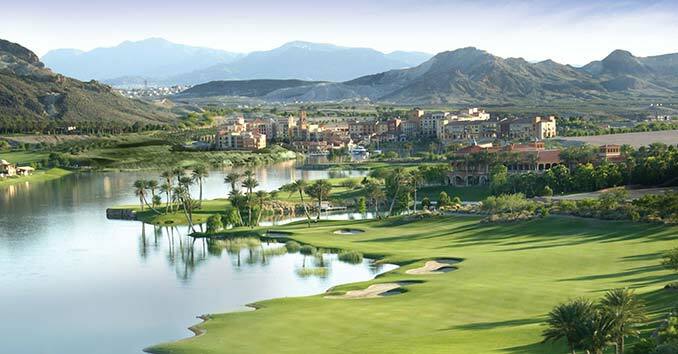 Located just minutes from the Strip, this 320-acre artificial lake surrounded by restaurants, shops, and a hotels feels a world away from Vegas. In The Village, you can spend a relaxing day shopping and lakeside dining. If you’re feeling a little more adventurous, venture out onto the lake for some water sports. Flyboards, water propelled jetpacks, paddleboards, kayaks, and pedal boats are available for rental most days of the week. Boulder City was established in 1931 as a temporary home for the builders of the Hoover Dam. The city maintains its historic charm to this day. Visitors can stroll through shops, restaurants, and galleries in Boulder City’s Historic District, or even tour the Hoover Dam Museum in the Boulder Dam Hotel. The quiet atmosphere makes it the perfect place to relax and take a break from the fast-paced nature of Vegas. But if relaxing isn’t your thing, the city also boasts of the many outdoor activities that surround it including quad rides, the Bootleg Canyon Zipline, Lake Mead, 50 miles of hiking and biking trails, and water sports where the Colorado River flows through Black Rock Canyon. 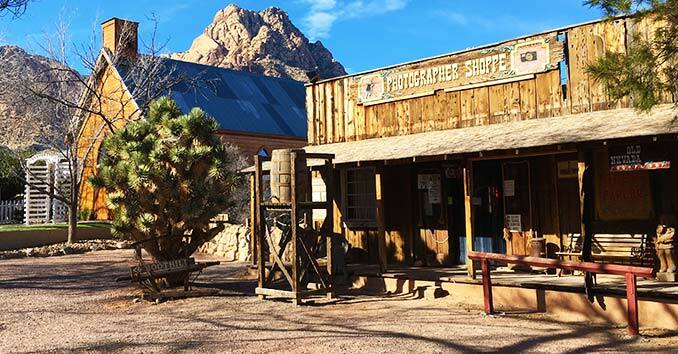 Catch a glimpse of the Wild West at Bonnie Springs Ranch, located in Red Rock Canyon. Attractions include the petting zoo, train rides, Bonnie Springs Ranch Restaurant & Bar, and a replica of an authentic 1880s mining town. Be sure to stay for the melodrama and hanging outside the saloon. The former mine town of Eldorado contains some of Nevada’s oldest mines and is extremely popular with photographers for the old cars, antique mining equipment, and artifacts. Learn about Nevada’s early history by taking a tour through the mine and main building. 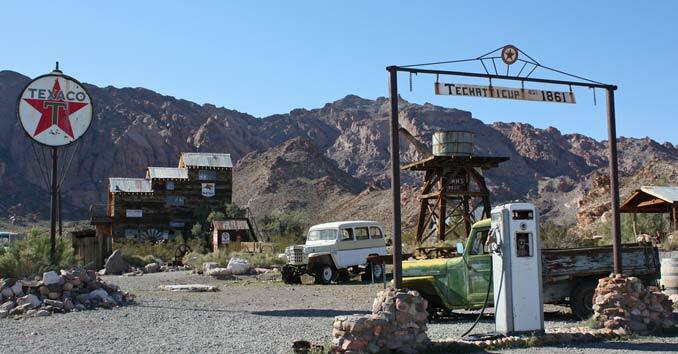 After the tour, you can visit the ghost town, explore the Techatticup mines, or check out the old country store. Drive a little further down the road for a scenic view of the Colorado River, and kayaking, hiking, and horseback riding at Nelson’s Landing. 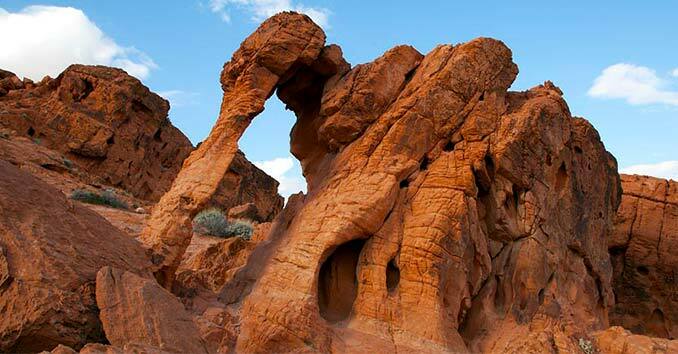 Named for its vibrant red sandstone, the Valley of Fire was founded in 1935 and is Nevada’s oldest state park. The park is famous for the unique rock formations abundant throughout the landscape, and its rich history. Nearly 3,000-year-old petroglyphs left by early American Indians can be seen throughout the 42,000-acre park, providing insight into life in the region thousands of years ago. Other outdoor activities like hiking, camping, and picnicking are available. The Hoover Dam is an impressive sight, to say the least, especially considering its history. This massive structure–the largest in the world at the time of its completion–took 5 million barrels of cement, 45 million pounds of reinforcement steel, and 21,000 workers to complete. 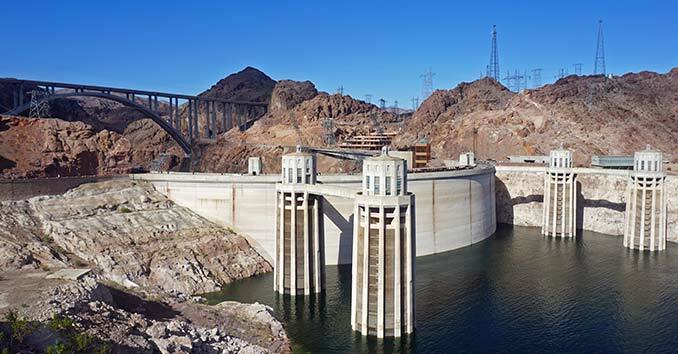 The Hoover Dam allowed for the growth of western cities by doing the impossible–taming the wild Colorado River. Each year, it powers 1.3 million homes and helps with irrigation and water storage–it’s no wonder it has become a popular tourist destination. The Hoover Dam is a piece of American history you won’t want to miss. Visitors can admire the dam on their own, or participate in one of the guided tours offered on most days. 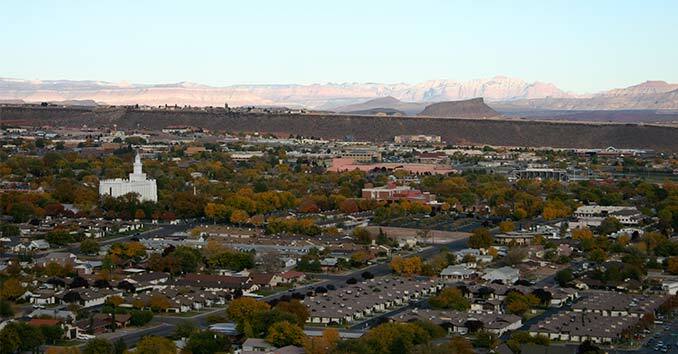 The city of St George, Utah is full of culture, life, and adventure. 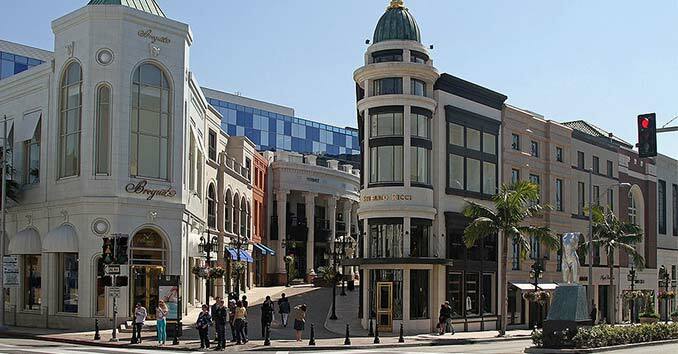 Within the city, you’ll find sixteen museums and art galleries, multiple theaters, shops, restaurants, and various historic buildings. If you’re looking for more of an adventure, St George is very close to many outdoor attractions. Red Cliffs National Conservation Area (2 mi), Canyon State Park (10 mi), the Pine Valley Mountains (38 mi), and Zion National Park (41 mi) are all nearby. 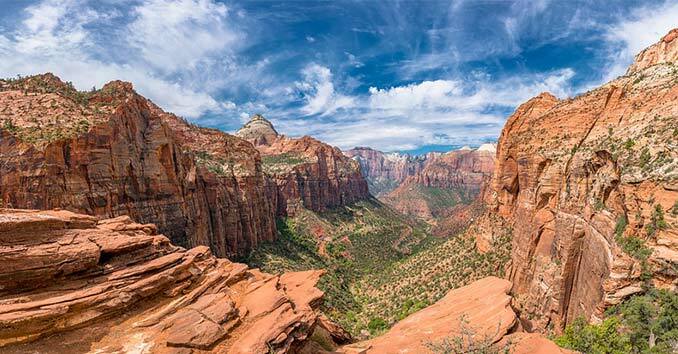 Located in southwest Utah, Zion National Park is famous for its canyons, rivers, and diverse wildlife. People who visit here come for the rock climbing, hiking, scenic drives, and bird watching. With three campgrounds within the park, Zion is also a popular destination for camping. This below-sea-level basin holds the record for the hottest and driest National Park. Contrary to the name, there are many plants and animals that reside within its 3 million acres of wilderness area. There are also many activities–bird watching, biking, hiking, and night sky stargazing– just to name a few. 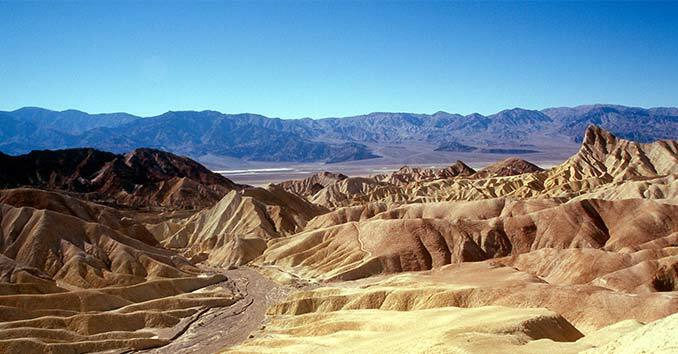 Death Valley is best seen during the winter and spring months, as temperatures during the summer can be absolutely brutal, with highs reaching 120°F. Dixie National Forest is two-million acres of nature filled with canyons, pine and aspen forests, rock formations, mountains, and lakes. 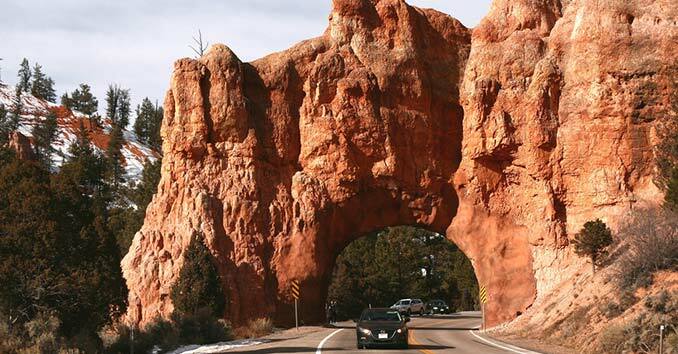 Drive through the scenic beauty or participate in a variety of activities such as hiking, camping, bicycling, fishing, horseback riding, and skiing.